We’re organizing our next FinTech Meetup on June 4th. 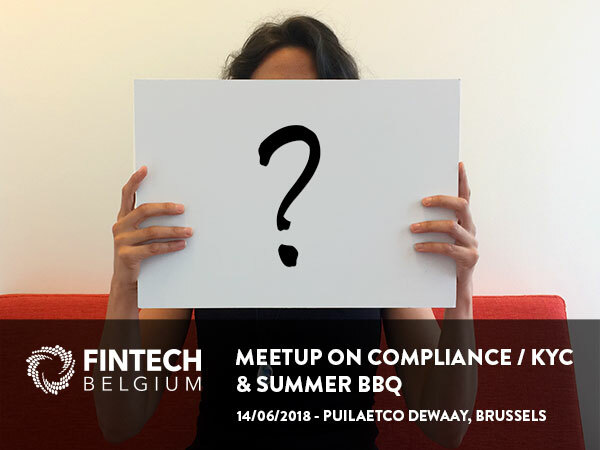 We’ll start with a very short update on what is happening in our beloved FinTech Belgium community. And we’ll unveil our master plan for our next community event, please come and share your idea to grow our FinTech community. Monizze offers simple electronic payment solutions. Monizze focus on the digitalisation of meal vouchers, eco-cheques, coupons, loyalty or gift cards. Since june 2011 Monizze holds its State Granted License as an electronic meal voucher issuer. Monizze is a 100% Belgian company which excels through its sharp pricing thanks to its efficiency, simplicity, innovation and an excellent customer service. 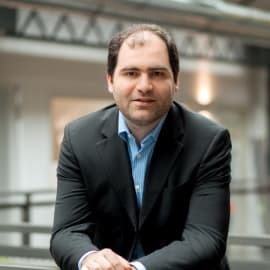 Jean-Louis Van Houwe, Founder and Managing Director of Monizze, has an extensive international experience in Information Technology and Telecommunications from working for its past employers PWC, IBM, Computer Sciences Corporation and Alcatel. Monizze founding shareholders are Gregoire de Streel and Jean Zurstrassen who co-founded successful innovative companies such as Skynet (now Proximus), Keytrade Bank, and Tunz (now Ingenico Financial Services). When BigData meets Bank Regulation: Discover how MarkLogic used innovative technology to help a tier-1 global bank in London to meet regulatory requirements by aggregating trade data. MarkLogic is the only Enterprise NoSQL database. It is a new generation database that is built with a flexible data model to store, manage, and search today’s data, without sacrificing any of the data resiliency and consistency features of last-generation relational databases. Florent is an invited expert in the XSLT & XQueryworking groups at W3C since 2009, where he works on the new versions 3.0 of XSLT, XQuery and XPath, as well as the chair of the EXPath group. Florent is the founder of Servlex, and the maintainer of XSpec. Florent is a member of the XML Guild, and collaborated to several books, is a certified SOA Architect, and has given multiple talks in several conferences. Let’s see how London is doing FinTech: current market state, accelerators, incubators, labs and how investors and startups are getting value from this ecosystem. Discover how accelerator as Ignitr can help startup entrepreneurs to achieve speed to market. Farid Tejani is a Startupbootcamp FinTech Mentor and Managing Partner at Ignitr consulting, a software engineering consultancy working exclusively within the finance industry.